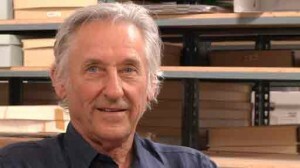 Ed Ruscha was born in 1937 in Omaha, Nebraska, and grew up in Oklahoma, where he met his lifelong friends Mason Williams, Joe Goode, and Jerry McMillan. 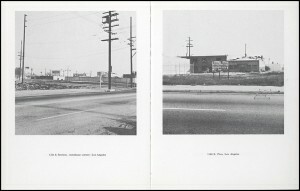 At the age of 18, in 1956, Ruscha drove to Los Angeles to attend the Chouinard Art Institute, where he studied with faculty members, including Robert Irwin and Emerson Woelffer. 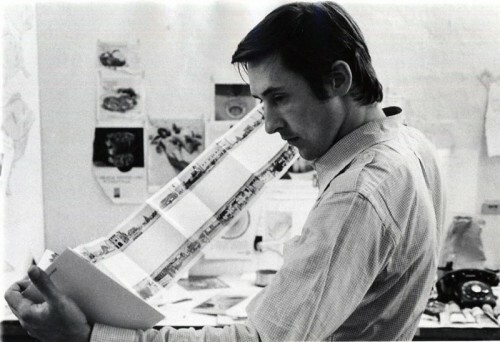 Informed by Pop Art and the distinctive billboard culture of Los Angeles, Ruscha was a pivotal presence in the West Coast art scene, and also served as a major representative of photo-based conceptualism. 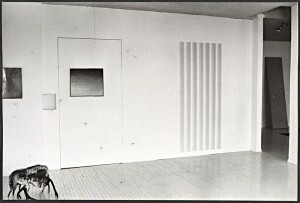 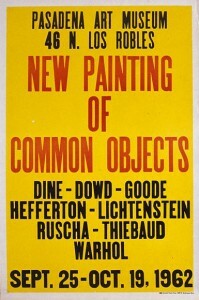 In 1962, Walter Hopps included Ruscha’s work in the influential New Painting of Common Objects exhibition. 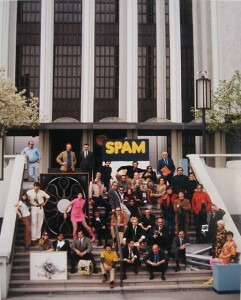 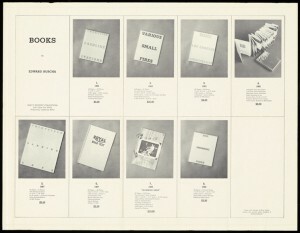 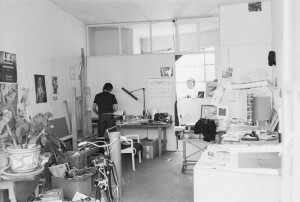 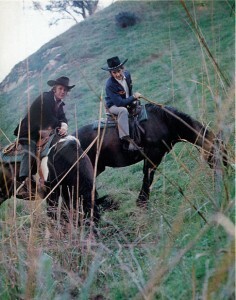 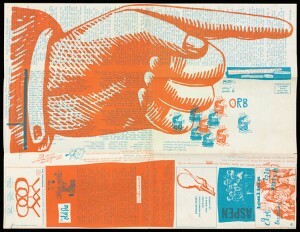 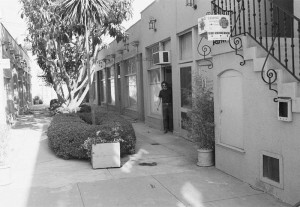 That same year, he began self-publishing photo books. 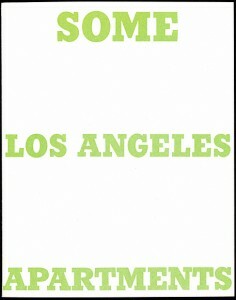 Many of these were based on the Los Angeles cityscape, such as apartment buildings and parking lots, and captured the serial imagery of the city through a dry documentary sensibility. 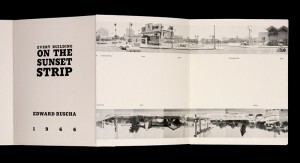 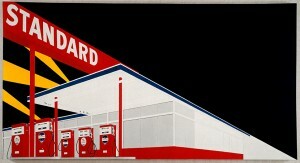 Exhibition audio: Curator John Tain discusses Ruscha’s work.